To describe the neurological phenotype of children with prenatal diagnosis of agenesis of corpus callosum (ACC) and interhemispheric cysts associated with malformations of cortical development (MCD). We reviewed the neuroimaging, neurologic, EEG, and genetic data of 36 patients (21 males, mean age 7 years) with ACC and interhemispheric cysts. Associations were tested with Chi-squared and Fisher exact tests. According to the 2001 Barkovich classification, we found 4 type 1c (11.1%), 6 type 2a (16.6%), 18 type 2b (50%, 6/18 girls with Aicardi syndrome), and 9 type 2c cysts (22.2%). EEG showed specific epileptic activity in 27/36 patients (75%). 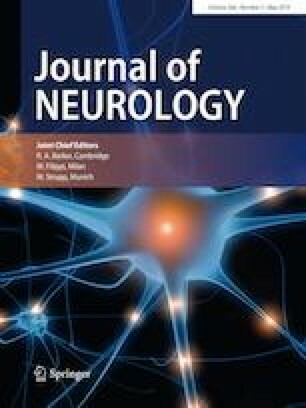 Epilepsy was diagnosed in 16 subjects (16/36, 44.4%), including all Aicardi patients, and was associated with cognitive impairment (p = 0.032). Severe intellectual disability and epilepsy were associated with type 2b cysts, always due to Aicardi patients (p < 0.05). After excluding Aicardi patients, all subjects with type 2b cysts had mild neurological phenotype. Patients with 2a and 2c cysts more frequently had normal cognition (83.3% and 62.5% of cases, respectively). Patients with type 1c cyst mostly had mild/moderate cognitive impairment. Severe neurologic deficits were associated with 1c cysts and 2b cysts with Aicardi syndrome (p < 0.05). Multilobar and/or bilateral MCD were associated with severe neurological and epileptic phenotypes (p < 0.05). Once excluded Aicardi syndrome, most patients with ACC and interhemispheric cysts have a mild clinical phenotype characterized by borderline/normal cognition and minor neurological signs. Despite the high prevalence of EEG epileptic abnormalities, epilepsy in these cases is infrequent and usually responsive to antiepileptic drugs. The online version of this article ( https://doi.org/10.1007/s00415-019-09247-7) contains supplementary material, which is available to authorized users. The authors thank Carola Martinetti, Radiology Unit, University of Genoa, Genoa, Italy. They are also thank the patients and family members, and the ASSACCI (Associazione Anomalie Corpo Calloso Italia) Association. This was a double-center retrospective observational study performed at the Istituto Giannina Gaslini Children’s Hospital (Genoa, Italy) and McGill University (Montreal, Canada). The Ethical Committees of both institutions waived written parental consent due to the retrospective nature of the study. This study has been performed in accordance with the ethical standards laid down in the 1964 Declaration of Helsinki and its later amendments.